I recently had to go baby-shower gift shopping for a super-organised friend who has already purchased just about everything she could possibly need. Since my usual baby-shower gift ideas were off the table I decided to go with bubba ‘cosmetics’ – surprisingly something that I haven’t thought to buy as gifts before. I really struggled find find cruelty-free and and natural products when my little girl was born, but there are now a few ranges around that are quite easy to find. Burts’Bees Baby Bee Getting started Kit – $25.95 – contains the most popular Baby Bee products: nourishing lotion, hair and body wash, soap, baby oil and diaper ointment. 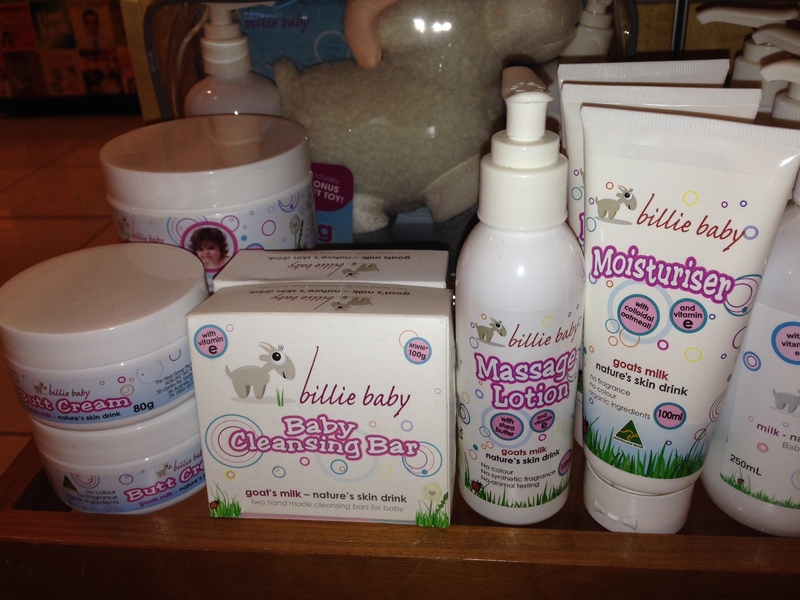 The Billy Goat Soap range has a range of baby products, as well as two baby gift packs. Prices range from about $9-$15 for individual products and $24.95 for the gift packs. Happy baby shower gift shopping! New cruelty-free find: The Aromatherapy Co. I like this. All in one box. Great products for my baby.